After announcing its success of having sold over 60 million smartphones in the year of 2014, Xiaomi’s next announcement includes quite a bit of a surprise. The company has announced the improved version of their top-selling Redmi: Redmi 2. Although Xiaomi steals the show with their MI line, Redmi is what comprises of a lion’s share of their sales. Mid-year sales report of the company in 2014 showed sales of 18 million Redmi phones and 3.56 million Redmi Note Phablets. The Redmi 2 has Qualcomm 410 quad-core processor and 1GB RAM with 8GB usable storage. The phone is LTE-4G enabled, and supports dual SIM. It comes with 8-megapixel rear-facing and 2-megapixel front-facing camera from OmniVision. The rear camera has a 28mm wide-angle lens with f/2.2 aperture and is capable of shooting 1080p video. The front camera can shoot 720p video. 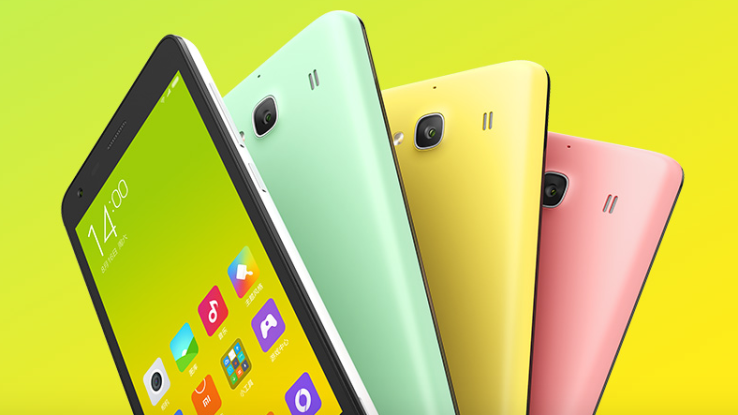 The display of Redmi 2 is 4.7-inch, 1280 x 720, and the phone runs on MIUI version of Android, as usual. This phone will be an ideal one for users who want a dash of color along with sophisticated specification in their devices because Redmi 2 comes is various colors. Xiaomi has added Lime Green and Powder Yellow to their existing colors on Redmi phones. The price of the phone has been decided at 699 CNY, which is equivalent to $112. It will be released in China first on Friday, January 9, 2015. Although the release dates to other countries have not been revealed yet, it is expected that the phone will be available in other markets soon, especially in India. Redmi phones and tablets have come out as winners in such markets because of their affordability. Since India has more users who look for good value within a lower price bracket, Xiaomi could easily top the sales in their market. Xiaomi’s next Mi flagship is expected to release in Beijing on January 15.